Today is my eleventh wedding anniversary. I thought about sharing a photo from my wedding but decided against it. You’ll all tease me about how young we look! And we were young, but we had one thing going for us–we KNEW we were young, and that we had a lot of growing up to do still. We knew that the only way our marriage would survive was if we grew together instead of apart, and if we sought out the wisdom of wiser, more “seasoned” couples who’d been down the bumpy road of marriage before us. One of our commitments from the beginning has been to put hard work into our relationship, and not let it sail on autopilot. We haven’t always succeeded, but the work we have put into it has paid off. To help get your relationship on a happier track, the psychologist suggests keeping a diary of positive and negative events that occur between you and your partner, and striving to increase the ratio of positive to negative. She suggests asking yourself each morning, “What can I do for five minutes today to make my partner’s life better?” The simplest acts, like sharing an amusing event, smiling, or being playful, can enhance marital happiness. Any marriage takes work, but there are special challenges when one or both partners in a marriage are clergy. The expectations of your congregation, the need to be available at inconsistent hours, needing to work on Sundays, the pressure to have a “perfect” family… These can add up and place a special burden on clergy families. And yet the building blocks of a healthy marriage are the same: mutual respect, articulated appreciation, shared values and experiences. Whatever challenges you face in your marriage today, may you be blessed “eleven times eleven” in your connection with your spouse! 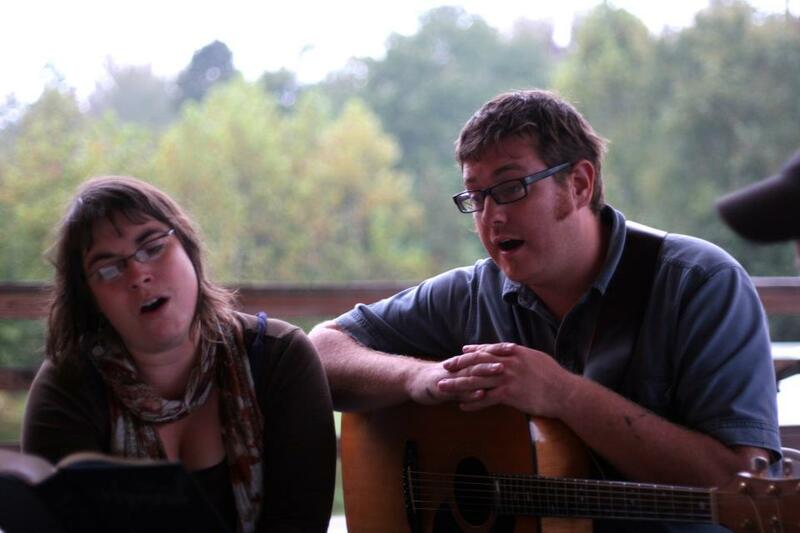 Singing together at our 10th anniversary party. This entry was posted in Relationship Health and tagged clergy spouses & families, resources, voices by Caren Swanson. Bookmark the permalink. Caren is a former Wellness Advocate with Spirited Life who hails from a small town in the hills of NH, but currently lives in Durham, NC with her family. She enjoys growing, picking and arranging flowers, climbing the magnolia trees in Duke Gardens with her daughter Clara, and hosting potlucks with friends and neighbors. The Connection is powered by WordPress at Duke WordPress Sites. Please read the Duke Wordpress Policies. Contact the Duke WordPress team.